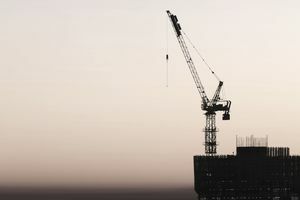 The State of New York has specific licensing requirements for all crane operators. These requirements mandate that new applicants obtain certification from either the National Commission for the Certification of Crane Operators, an organization accredited by the National Commission for Certifying Agencies or the American National Standards Institute. In addition to these local requirements, OSHA requires all crane operators to pass exams offered by accredited organizations. Requirements apply to crane operators who are seeking a Class C license, and crane operators who have active Class A and B licenses. In addition to the recently established requirements, crane operators will need to complete a 40-hour course covering New York City’s construction and safety regulations, undergo a criminal background check and meet appropriate medical and health requirements to operate cranes. The license is valid for a three-year period. To renew their license, crane operators must pass an additional training exam. Crane operators must have at least three years of experience within the five years prior to an application under the direct and continuing supervision of a licensed Hoisting Machine Operator in New York City or another jurisdiction in the United States that regulates crane operators. One of those three years of experience must be in New York City while the other two years must be in New York City or an area that could be compared with the city in terms of urban density. Crane operators must hold a Hoisting Machine Operator license issued by a jurisdiction in the United States for 10 years and demonstrate that 7 of those years was in a city with comparable urban density. Crane operators must perform up to 100 crane set-ups. One-quarter of those 100 setups must be using medium-sized mobile and/or tower cranes. Crane operators are granted a Class B license if they hold a Class A license in New York City and have at least two years of experience under the direct and continuing supervision of a Class B Hoisting Machine Operator in New York City. Have at least two years of experience within the three years prior to application working under the direct and continued supervision of a licensed Hoisting Machine Operator in New York City or similar state where crane operators are regulated. One of those two years of experience must be in New York City or in a city with comparable urban density. Prove they have performed at least 100 crane set-ups. Applicants are required to pass exams by accredited organizations that regulate specific equipment for which the license is to be issued. The National Commission for the Certification of Crane Operators is one of those organizations that will administer the exams at their facilities, and such certification demonstrates that the crane operator is knowledgeable and has the experience to operate the corresponding crane model. The Department of Buildings will require an applicant to submit documentation certifying compliance with all of these requirements and failure to provide accurate and truthful information could result in rejection of a license application as well as possible criminal charges.